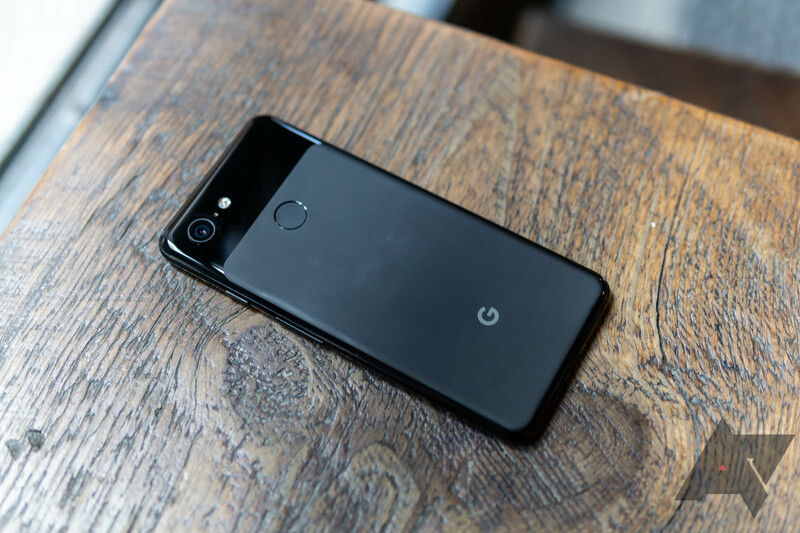 Before the Pixel 2 and 2 XL, Google had a habit of promising its Nexus and Pixel devices Android version updates for two years, but security fixes for three. That changed with the second-generation Pixels, which were guaranteed both types of updates for three years. The Pixel 3 family will benefit from the same courtesy. 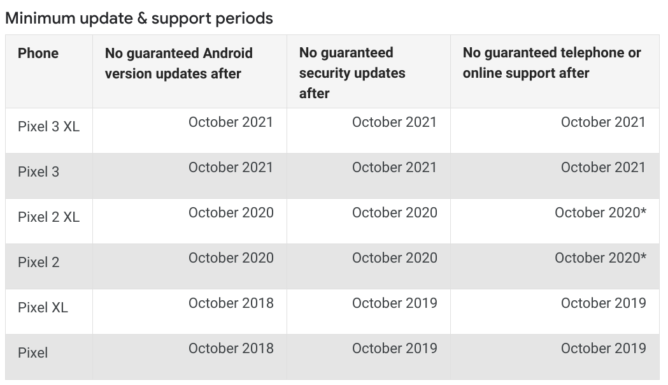 If you buy a Pixel 3 or 3 XL, you'll be happy to know that Android version and security updates are guaranteed until October 2021, three years from now. 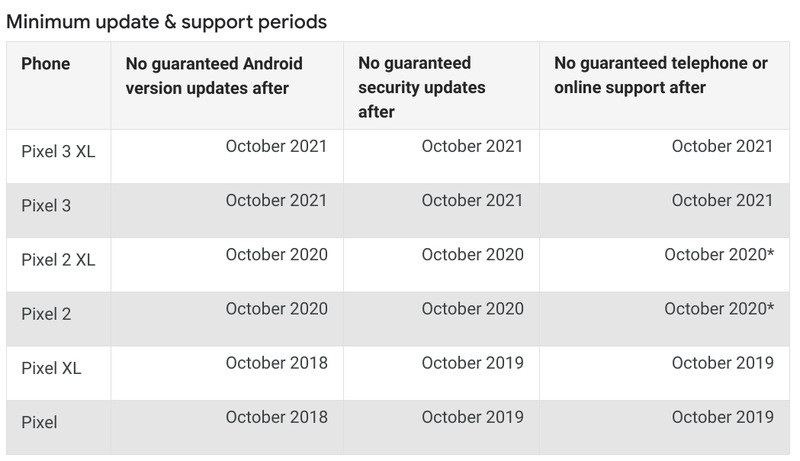 If Google continues its yearly cycle of Android releases, that means you'll likely get Android Q, R, and S, before the promise expires. While this isn't iPhone-level support, it's certainly better than the two year deadline. We're glad to see that three years of updates are now becoming the norm for Google's Pixels.